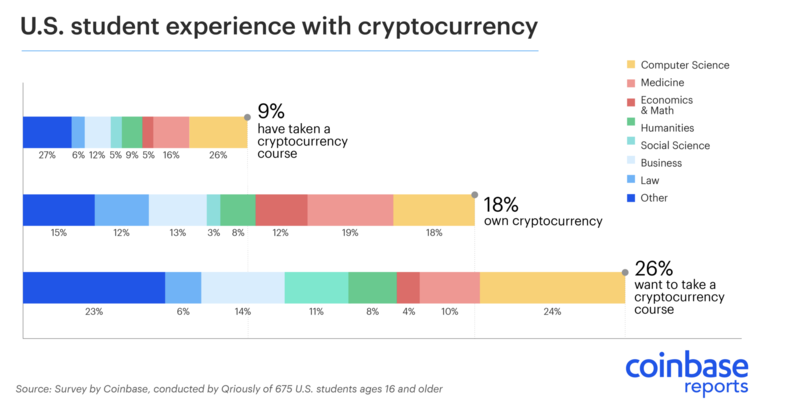 Coinbase has released a study showing that universities around the country are adding crypto-related courses to meet the rising demand from students. An individual just won the game by outsmarting everyone involved – including the developers – earning himself a solid $3M check. Here are the ninja skills (detailed explanation) the jackpot winner used to pull it all off. On one hand, dreamers believe in the inevitable decentralization of everything. On the other, the cynics argue that consumers don’t care about decentralization and will stick with the services they already use. As so often is the case, the truth lies somewhere in the middle. Here are 8 risk factors that make a centralized network effect business susceptible to decentralized disruption. Last week, Ripple’s CTO David Schwartz evidentially ruffled some feathers inside the crypto community after claiming Ripple (XRP) is “more decentralized” than Bitcoin AND Ethereum. In addition, folks quickly pointed out that over 81% of the total XRP is held by the top 100 largest XRP accounts, as shown here. We’re giving folks the chance to win $100 of bitcoin. The U.S. Securities and Exchange Commission (SEC) can’t seem to make up their mind, saying last Thursday they will review their latest decision to block nine bitcoin-based ETFs from coming to market. The ETF news does not mean that the ETFs will be approved. Each commissioner has the right to request a formal review of a rule rejection. So of course, crypto’s favorite SEC Commisioner Hester Peirce came through again, requesting another review of the hearing. Our takeaway? We know most people are eagerly waiting an ETF, but personally we won’t be disappointed if this batch ultimately gets denied. Most of the ETFs here are more derivatives betting on bitcoin (promoting downward price pressure). Instead, we’re looking forward to more physically backed ETFs (physically backed = when investors buy shares, the fund buys tokens) as they promote upward price pressure thanks to the law of supply and demand. What’s next? Keep your eye on a possible dip in the marketplace if and when the SEC reaffirms their rejections. Eric Meltzer shared his thoughts, asking people to simply look at the Chinese exchange scene activity to see how effective the government has been with previous restrictions. Last week, we spoke about the Venezuelan government’s attempt on a native cryptocurrency called the petro. For obvious reasons the controversial coin hasn’t really taken off in the country… But interestingly enough, Dash, a top 15 cryptocurrency seems to be filling in the gap. Here’s why the quick transaction protocol is now seeing “tens of thousands” of wallet downloads every month… in addition to impressive retailer adoption rates. We are starting to see patterns playout for Etherparty (FUEL) that makes us believe it’s preparing for a strong run. 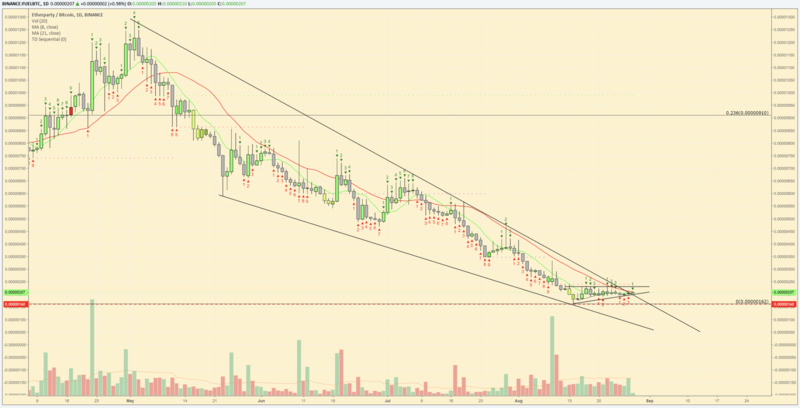 It has exited it’s down channel, and has been accumulating along it’s all-time low trend line. The coin also has a great daily volume of $9.35M, so we’re optimistic. Crypto exchange Huobi attempting to go public?